Hermit crabs are unique in that they must find and use a shell from another creature. A hermit crab carries this "borrowed" shell around with them, and the shell protects their soft abdomen and holds and regulates moisture within the shell (important for the function of the gills for breathing). Crabs may or may not change shells before or after a molt (where the exoskeleton, the hard outer covering of the body and legs/claws, is shed and new one produced in its place). Pet hermit crabs need to be provided with a variety of shells so they can change their shells as needed or desired. Crabs can be quite picky about the shells they prefer, so it is necessary to prepare a good variety of shells for your hermit crabs. If you don't have enough shells available, it can be stressful on crabs that want to change but can't find a shell they want. Sometimes crabs will even get into disputes over the "best" shells, so it is vital to have a good selection available. Crabs will fight to the death over treasured shells, so do not skimp on the number of shells available. The quality of shell is important too, as shells that are cracked or have holes are not suitable (don't hold moisture well) and crabs will not choose them. There are a wide variety of types of shells available to buy, and it may take some trial and error to find the type of shell your crab prefers for changing shells. You need to provide multiple appropriately sized shells for each crab you have. Size: For each size of crab, provide several shells with a similarly sized opening, as well as some that are slightly larger. As well, if you think your crabs are in shells that are maybe a bit big, provide some that are slightly smaller. If you provide a good variety of sizes, chances are your crab will pick one that is the right size (if the shell is too small the crab won't be able to withdraw into the shell, and if it is too big it will be hard for the crab to hold onto and maneuver around). The Shape of Opening (Aperture): Provide shells with different shaped openings, at least until you figure out your crabs' preferences. Openings vary in shape: round, oval, D-shaped, or more of a slit shape. There seem to be distinct species preferences when it comes to shells preferred by hermit crabs. Type of Shell: It is good to provide some variety in the type of shells, but make sure you do have some shells of the same (or similar) type to the one your crab is currently using. Quality: Shells that are cracked or have holes are not suitable. Hermit crabs need intact shells that are capable of holding a bit of water to help keep the crabs' gills moist. You can often find painted shells in pet stores (some crabs are sold in painted shells, too) or crab kiosks. While these shells look cute, natural shells are a better option. The paint can flake off, or get sticky, or have unpleasant fumes. The coating of paint and sealer may also interfere with the shell's ability to help regulate humidity inside the shell. There is also a concern for the toxicity of the paint and sealer, but even if they are non-toxic, painted shells are unnatural and may change the feel, weight, and shape of the shell enough to stress the crabs. 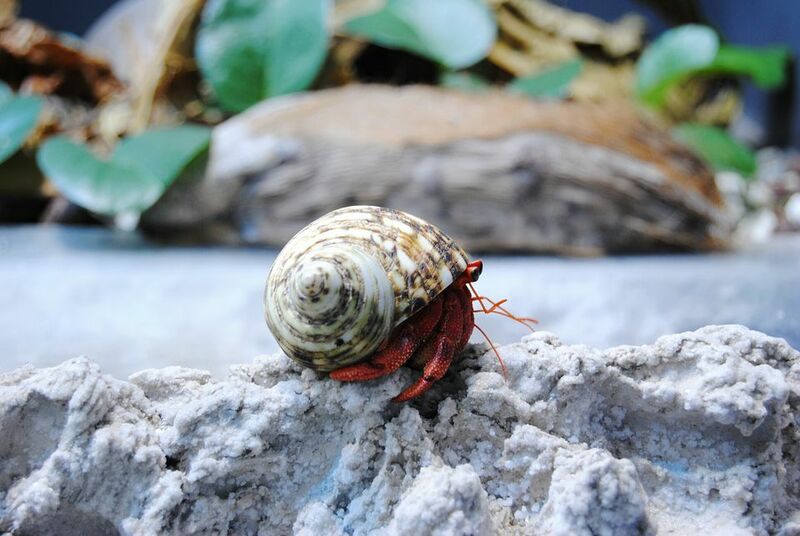 Before giving your hermit crabs any shells, boil the shells for 5 minutes, drain them, and let them cool thoroughly. Naples Sea Shell Company: Great selection and great prices. Sea Shell City: Decent selection and reasonable pricing, but avoid the painted shells. PetDiscounters.com: Good selection, including extra large shells. Make sure you choose appropriate natural shells and avoid the large selection of painted shells.